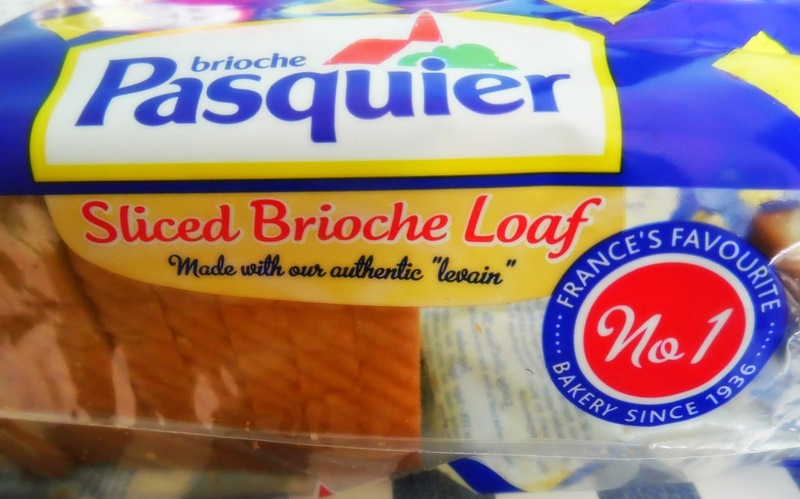 I was recently asked what I thought of the new Pasquier sliced brioche loaf. So we tried the new loaf, in fact, we took some on holidays. It went down a storm, with a bit of butter.........then with a bit of chocolate spread, utterly gorgeous. This gave me an idea for a recipe. 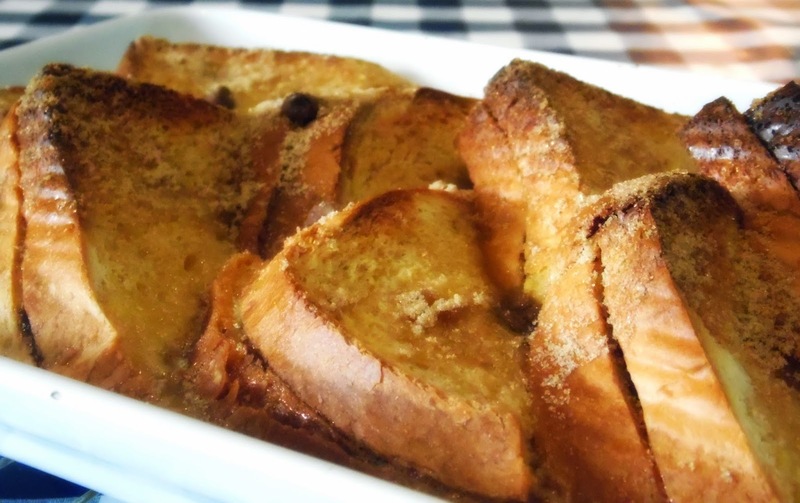 Everybody loves bread and butter pudding, right? Stodgy white bread (yuck), mixed fruit (extra yuck). But from that yucky, stodgy, pudding something delicious was created. 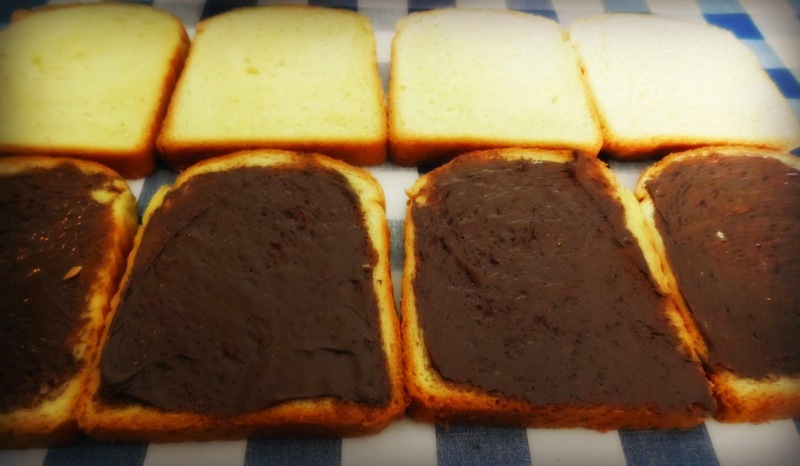 Spread 4 slices of the Brioche with the chocolate spread. Place the other 4 slices on top, to make a sandwich, then cut into half across the diagonal. Sprinkle the chocolate chips all over. 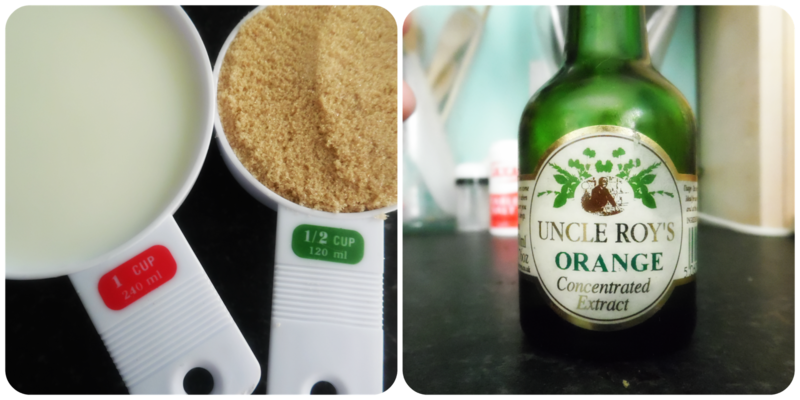 In a bowl, mix the milk and eggs, then add the soft brown sugar and flavouring. Mix thoroughly. Pour the liquid over the bread. Then leave to stand for 5 minutes. Put the oven on to gas mark 3 (low heat) to warm. Place the pudding in the centre shelf for 50/60 minutes, or until you can see the custard is setting. If you want to crust the top, turn the heat up and raise it a shelf, just for the last 5 minutes. Leave to cool for 5/10 minutes before serving. This went down a storm with the teen, always a good sign. I even shared it with the neighbours, who gave it a big thumbs up. Personally, a nice bit of clotted cream would have finished it perfectly for me. 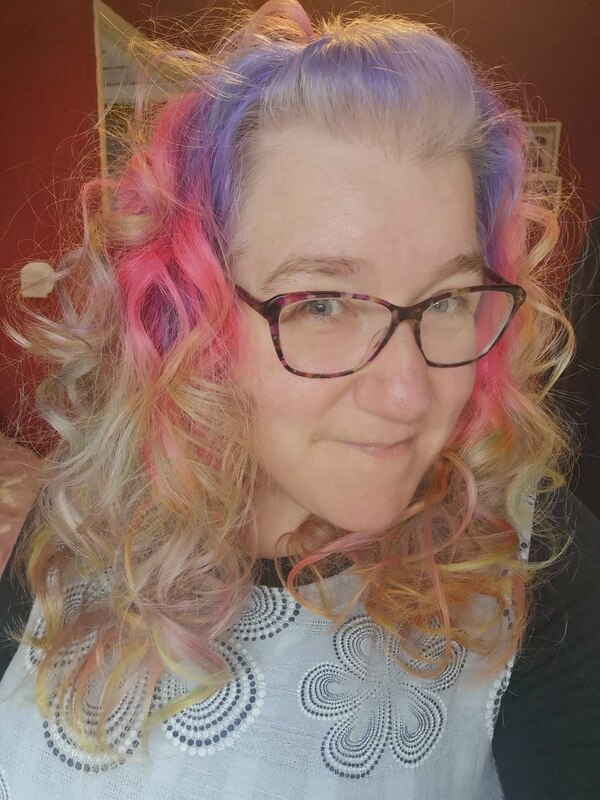 I hope you get to try this recipe, and would love to here how it came out. 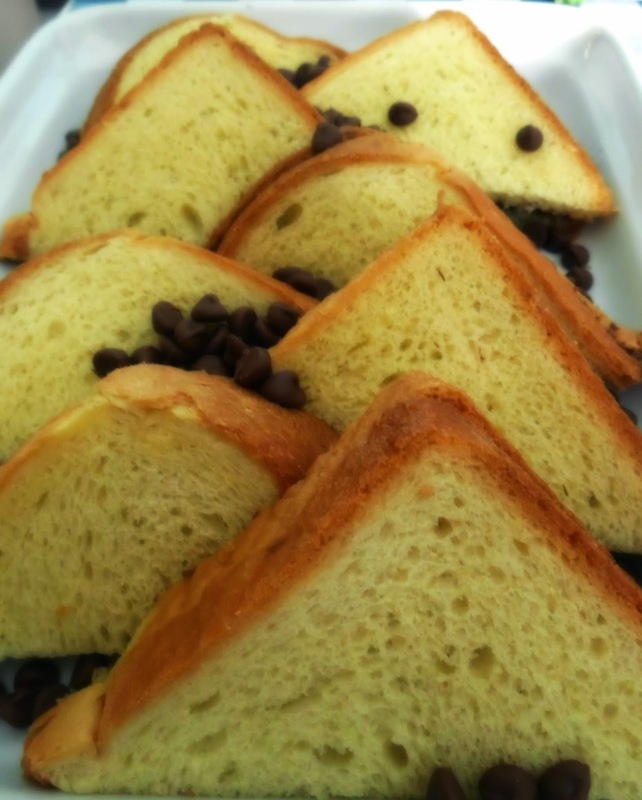 The addition of the Brioche, rather than just plain white bread made it less stodgy, in my opinion. This is definitely a new addition to our Sunday Tea Time choices!